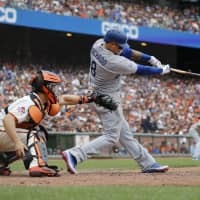 SAN FRANCISCO - The deep, slugging Los Angeles Dodgers took a far more challenging road to their sixth straight playoff berth. Despite it all, they still believe they’re the team to beat for a World Series title. A surprising 16-26 start and injuries to some of their biggest stars, including a pair of stints on the disabled list for ace pitcher Clayton Kershaw, left the Dodgers in a hole and needing to win in the final weekend to claim baseball’s final postseason berth. 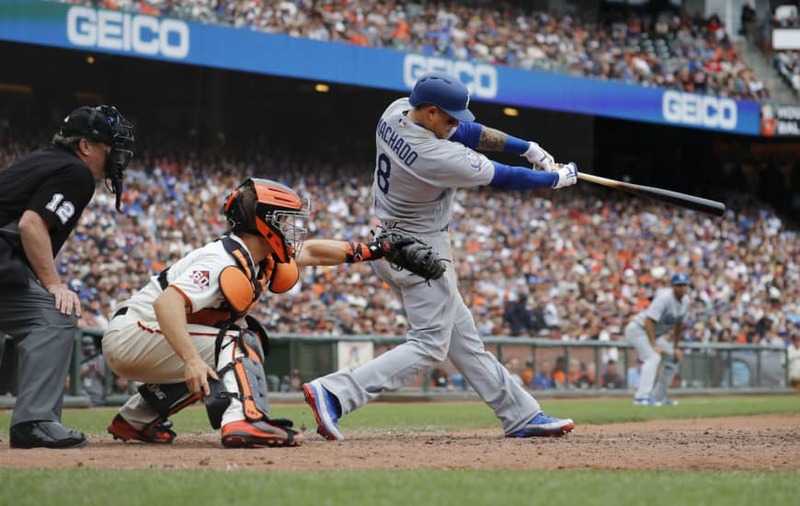 Kershaw and the Dodgers gave themselves a chance to capture another NL West crown and, they hope, another shot at that elusive championship, getting a go-ahead triple from Manny Machado in the eighth inning Saturday and beating the San Francisco Giants 10-6. Once the champagne had been popped, sprayed in triumph and consumed, many of the Dodgers were headed back to their hotel to watch the Rockies, the team they’re still competing against for the NL West title. Kenta Maeda pitched two-thirds of an inning for the Dodgers in the win. Kershaw allowed eight hits and five runs — his most in 44 starts against the Giants — over five innings and had a two-run single in the fourth. In Denver, the Rockies dropped into a tie with Los Angeles for the NL West lead with only one game left after being routed by Stephen Strasburg, Juan Soto and Washington. If the Dodgers and Colorado finish tied, there will be a one-game tiebreaker for the West title Monday at Dodger Stadium. The loser will become a wild card. In Milwaukee, the Brewers moved into a tie with the Cubs for first place in the NL Central with one game remaining in the regular season, getting two homers from MVP candidate Christian Yelich. In Chicago, the Cubs wasted a solid performance by Cole Hamels, sending the NL Central race to the final day of the season.